this week…the family that plays together…stays together. Commentary – I think you knew this…..
It’s been a busy week…have closed 3 transactions (2 Sellers and 1 Buyer). *The house at 3519 DePassier (3 bdrm, 2.5 baths) closed for 685K, the list price. *The house at 2745 Young Street (2 bedroom, 2.5 baths) closed for 680K on a list of 600K. *And my buyers purchased the house that their dreams are made of….1204 Bay Street 2.2M on a 2.285 list price. 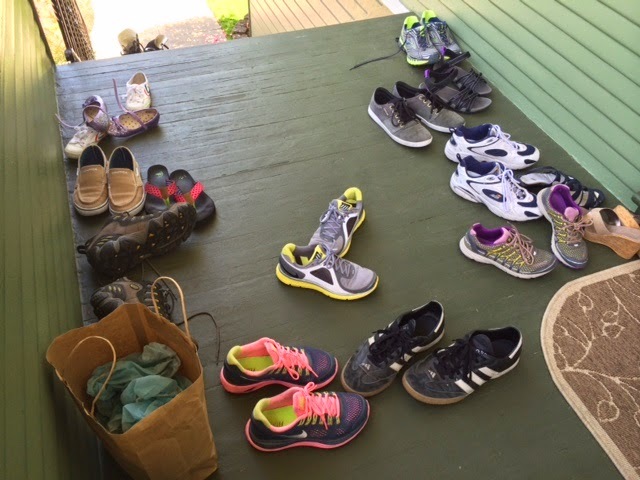 On Friday May 9th, looking at offers for the house on 1237 Versailles (where all the shoes came off!) As of late Friday it is pending. Broker tour Tues! 11 new listings, 1 repeat…saw all 11 via car, not bike, due to other commitments that morning! That’s it! Call if you have questions! Need referrals for vendors? Maybe I have some…. Next Post Next post: Who Saves the Commission?